To discern comes from the Latin discernere, which means simply to separate or distinguish one thing from another. Discernment of your vocation is just that–distinguishing which path God has planned for you. Discernment may be daunting, but it is certainly possible. As a Christian, you are in a personal relationship with a God who loves you and can only desire what is best for you. Being in that relationship means that God is–not just can, but is–leading you. Discernment is tuning in to that voice of God. In discerning one’s state in life, all of the recognized options the Church presents (marriage, single life devoted to God, priesthood, and religious life) are morally good. Yet not all of these may be possible for you when considering your responsibilities. For example, if you are a widower with young children, your primary responsibility is to raise them, not go to seminary (at this time). Who is a candidate to enter seminary? God is not indifferent to what vocation you choose; He created you specifically for your particular vocation, which is what will lead you to the most fulfillment. It hardly makes sense to think that God has a plan for you but will not enable you to discover it. With the assistance of His grace, you will be capable of discovering and living out that vocation. You must be motivated to seek out God’s plan. After all, it is in your own interest to discern your vocation. God’s plan for you is one of joy, and you will find the most fulfillment and true happiness when you are trying to live out that plan. Furthermore, if you are seeking God’s will, then you are developing your personal relationship with Him. Hover over this text for a prayer you can say right now. What should I be doing if I’m discerning? If you are considering the priesthood, the appropriate question is, “Is God calling me to go to seminary at this time?”. Discernment continues after a man enters seminary, and it is only from within the experience of priestly formation that one is able to ask the question, “Is God calling me to be a priest?” Discernment is an ongoing process and not something you complete before taking any steps at all. 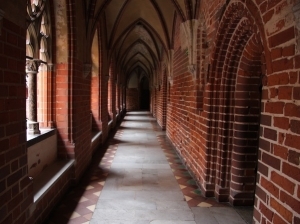 God often calls men to the seminary without calling them to be priests! While no one should enter the seminary without thinking that God may be calling them to the priesthood, it may be that God has another purpose in mind, using the experience of seminary to form the man for his ultimate vocation. Seminary formation will help any man become a better Catholic. What should I be doing if I'm discerning? How can I learn to listen to what God is calling me to do with my life? Where are you on the journey of discerning your vocation? Every seminarian is different, and so are the paths that have led them there. Find out what it takes to apply, and how we can help. Seminarians receive Human, Spiritual, Intellectual, and Pastoral formation.